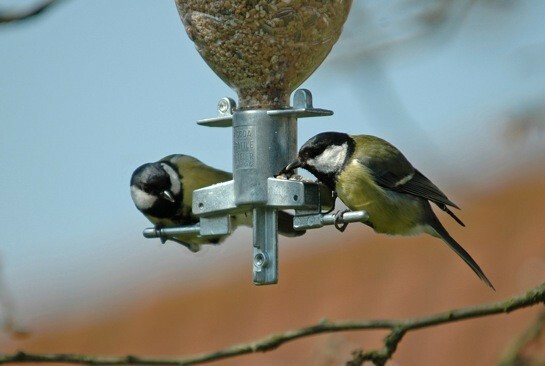 Build your own bird feeder. Recycle your old plastic bottles. 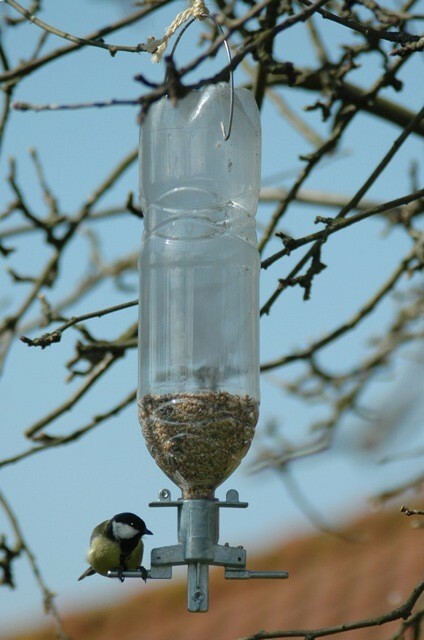 Poke two holes to hang up your bird feeder, fill the bottle with bird seeds and twist it into the zinc adaptor. 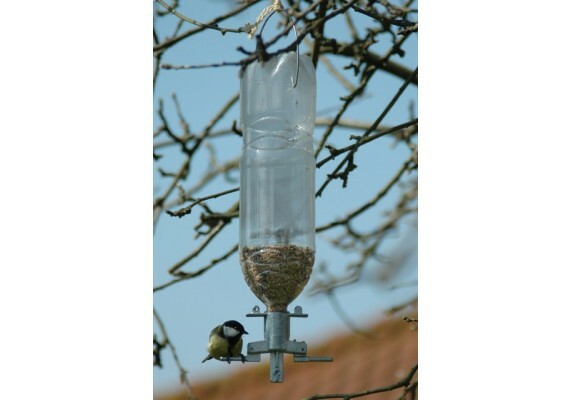 The Bird Feeder can be hung up or attached to a post.